The news of a shooter on campus was a terrifying and traumatic experience for members of our community — both for people near Mason Hall when the reports were coming in as well as anyone who received the alert from afar. After a thorough search of Angell and Mason Hall, officers were able to confirm that the reports were related to balloons popping in the area, which sounded like shots being fired. Even though this was a false alarm, we are grateful for members of our community who made the call to police to report it. We greatly appreciate the cooperation of everyone who provided information and followed directions under these conditions. I want to thank all who responded to the incident by quickly leaving the area or sheltering in place. I have received several reports that our community members did exactly as expected when the alert was issued: getting away from the area of concern, sheltering in place, barricading inside a secured area and notifying DPSS of their exact location. This was not only the appropriate steps to take to ensure personal safety, but also aided law enforcement officials in their ability to respond effectively to the ongoing situation. We are incredibly thankful for the multi-jurisdictional response and coordination with our numerous local, state and federal law enforcement agencies that responded and immediately provided support to our officers’ efforts to respond, investigate and ensure the safety of our university community. This incident reconfirms the importance of making sure you are signed up for the UM Emergency Alerts and the importance of being prepared for such situations. 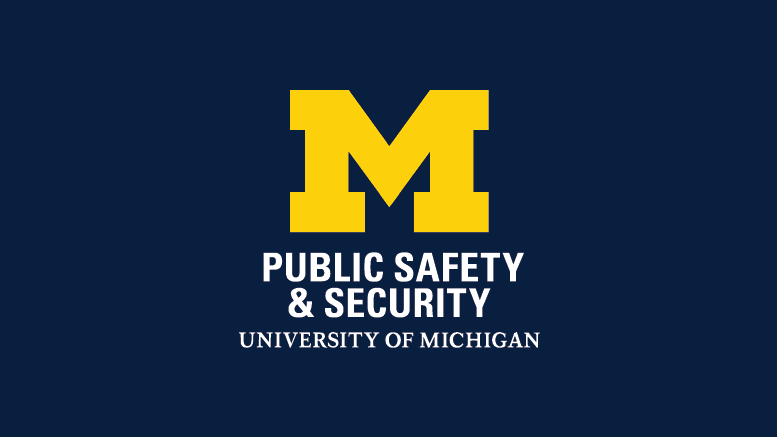 The DPSS website has many resources, which we recommend all members of the U-M community review every year. For those needing support, please be aware of counseling resources available on campus. Students can contact CAPS, the university’s counseling and psychological services, at 734-764-8312. Faculty and staff can receive support through the Faculty and Staff Counseling and Consultation Office at 734-936-8660. Lastly, I would like to emphasize the importance of immediately contacting law enforcement as soon as you become aware of any crime, suspicious activity or public safety concern. Police officers can not be everywhere, at all times, we rely on our community to alert us to suspicious activity. When in doubt, make the call. We will always err on the side of safety. You can call 911 or contact DPSS directly anytime at 734-763-1131. We recommend that you save the DPSS phone number in your cell phone’s favorites list for quick access. You also can contact us through the DPSS App, which you can use to communicate your safety concerns with us through an online form. For a timeline on yesterday’s events, please visit the Public Affairs key issues page for more information.